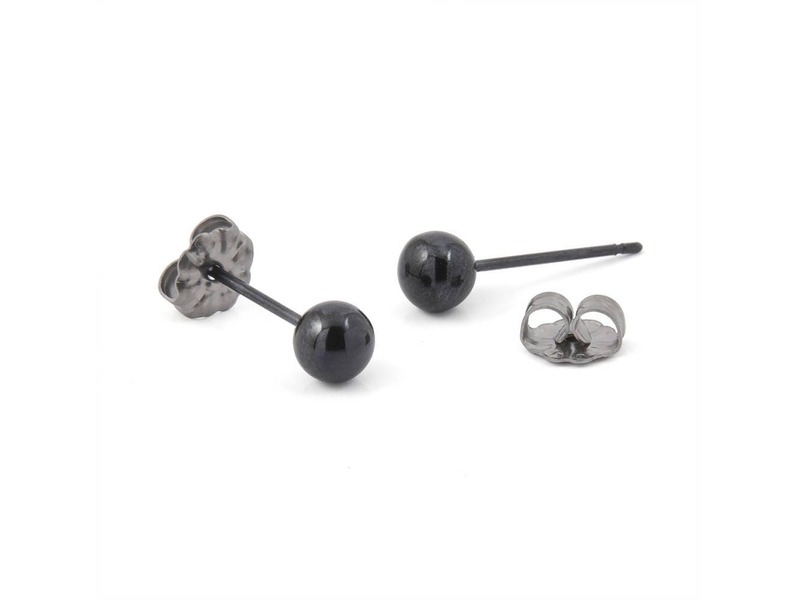 Black Round Bead Titanium Stud Earrings. 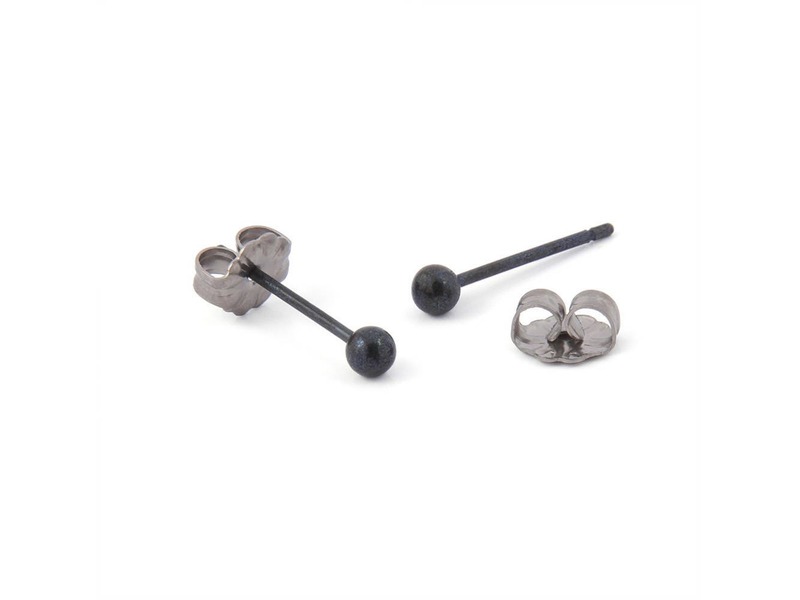 A simple, classic and comfortable pair round studs. Titanium is 100% hypoallergenic and will not produce skin irritation or discoloration. Titanium earnuts included. Available in 3mm and 5mm in sizes.